Are you Using the Indian version of orkut (www.orkut.co.in) ? Why Should You Change ? * So that you can Use the GreaseMonkey tricks On firefox. * .com pages load faster. * If you are in the .co.in domain and then recieve a link as a scrap with .com domain then visiting that link, creates problem for your Browser, to change the domain from co.in to .com . * Go to the bottom of your page. See the screenshot. * Here Click on "Go to Orkut.com"
via Click Here to Read more! This tool will allow you to reject all pending friend requests in seconds. 2. Now, just enter your account details so that the bot can do it’s work. 3. Wait for a few seconds. All the friend requests will be rejected at the same time you will be provided a link to the orkut profiles of members who were rejected as your friends. Ok now this one is specially for those orkut users who like to add lots n lots of friends, this mass friend adder is a simple script, which directly open the add as friend page, whenever you view a profile of some one else which is not ur friend, as simple as that! If the person is already in your friend list it will show already added! You can install it for a short time if you want to add a lots of friends, like a community filled with your classmates etc. you can disable or uninstall it after it. Thats it my friend.... Click Here to Read more! So what say friends are you ready to put it in your orkut, just follow these simple steps and you are done! Thats it my friend.... You might also like to check out Remove Orkut Virus, New Orkut Black Skin & Powerful Orkut Toolbar also. Click Here to Read more! Hey guys, i have checked my profile views in firefox and internet explorer both and guess what now if i look at my profile views though it is showing since feb,06 oops i have not joined orkut by then the last week and since feb'06 figures are same. Please check is this some kind of virus in my computer or it is the bug that is happening with all of us, and please reply to this post after checking this will wait for your response friends!!! Click Here to Read more! Nice one na, ya i know i know, so how to make it yours, Pretty simple i guess, follow these easy steps pals.. This is just great orkut is not only helping people in socializing with their friends but people are also logging on to share not only their personal problems but also to find solutions for them. "Orkut has been a great strength of support for me. I had lost all faith in destiny till I logged on to a kidney transplant community where people with similar problems pepped me up by writing down their experiences," says Sarath Kumar from Hyderabad. Sarath, who is looking out for a kidney donor for himself adds, "They were people who told me what to do, what all precautions I should take and even suggested names of some good doctors that I could get in touch with." There are many communities on orkut which are not only filling in their members to show off, but they are really and truly helping people which are having the problems and they are collectively finding solutions for it. Not only do these communities attract a large number of members who indulge in periodical discussions to offer help to the one seeking, many also take part in these discussions as non-members. "The whole purpose of my community has been to reach out to people who face similar problems. Many of the freshers had joined my community and we discussed everything from anti- ragging rules to how to go about with their admission procedure," says Sashank Nair, who had set up a community for first year under-graduate students. Source: Sify News Click Here to Read more! 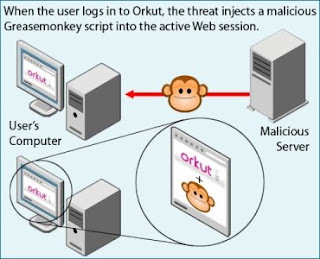 This is a special warning to our Brazilian friends at orkut, in the previous post about w32.scrapkut virus a new component have been identified namely Infostealer.Scrapkut. The credentials are logged by the information stealer and the attackers are sent the details. 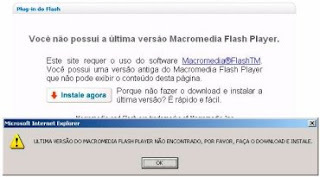 Using a fake authentication prompts and targeting Brazilian banking Web sites. Whats the risk to you? if they get your bank account details, your savings will soon be lost! and that will count as your mistake cause you did not had your antivirus in place!!! Click Here to Read more! So you have been hit by the orkut virus, you know which i just posted in my previous post here, so here is a way of removing orkut virus, namely w32.scrapkut. 1.Disable System Restore (Windows Me/XP). Right Click "My Computer" , then select "Properties". Go to "System Restore" tab . Then Click/ Check "Turn off System Restore", then click OK and restart your system . Select "Run", then type "regedit" . Go to "File" menu then select "Export". Create a new folder . e.g; "Registry-Backup" . Then type a filename which includes current date , this will help you in future maintanace of your Operating System . e.g; "Reg-Backup-21-01-2008"
4.Restart your system in safe mode. During BootUp process Press F8 , then the BootUp selection screen will display. Use Arrow Up+Down to select SafeMode on the selections menu. 5. Run a full system scan. 6. Delete these values added to theregistry. Windows operating has an in built "Registry Editor" to edit Registry. To open system registry ..
Go to "Run" on start menu , then type "regedit"
Press 'Ctrl+F' to Search/Find any Values or strings in registry . Press 'F3' to "Find Next". NB: Use this Symantec Tool to reset shell\open\command registry keys if regedit (Registry editor)is not accessible . HKEY_LOCAL_MACHINE\SYSTEM\CurrentControlSet\Services\Partizan\"Group" = "Boot But Extender"
Friends how many of you have fallen victim to a worm, which apparently looks like this in your scrapbook, but let me warn you its a deadly worm, recently renamed to W32.Scrapkut, uses active code injection as a vehicle to propagate to the Orkut friends of its unfortunate victim. > When a victim clicks on the link, they are redirected to an external site which prompts them to download the file “flashx_player_9.8.0.exe”. > When executed, flashx_player_9.8.0.exe retrieves the files windosremote.exe, logservicess.exe and win32chekupdate.exe from http://[REMOVED].ifastnet.com. These files download additional files that perform a variety of malicious actions, but logservicess.exe is the main executable for further propagation. Logservicess.exe first copies itself as maindwxp.exe to four different locations on the system to ensure it is executed on startup. > Maindwxp.exe then checks in with the command and control server via a GET request with specific parameter values. Interestingly, the page returned simply contains the word “Rastreados” followed by a number. In Portuguese, “rastreados” means “crawled” - at last check the number was 13559. Edit: So here is a way to remove this virus, Click Here Click Here to Read more!